Every two years, Thinkers50 ranks the world’s top management thinkers. In addition, several individual awards are given for distinguished achievement in global thought leadership. 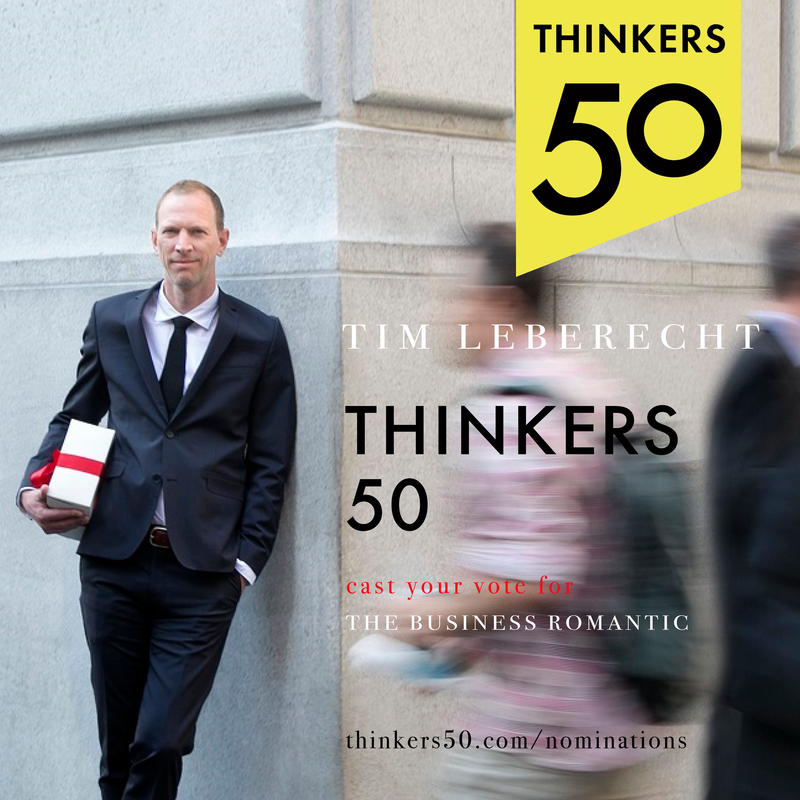 Vote for Tim in the 2017 Ranking of Global Thinkers here (it takes 10 seconds)!